You are now interested to invest in a pair of adjustable dumbbells in order to work out more effectively and efficiently at the comfort of your home. Of course, a pair of adjustable dumbbells can save your more money in the long run compared to purchasing multiple fixed dumbbells or going to the gym. 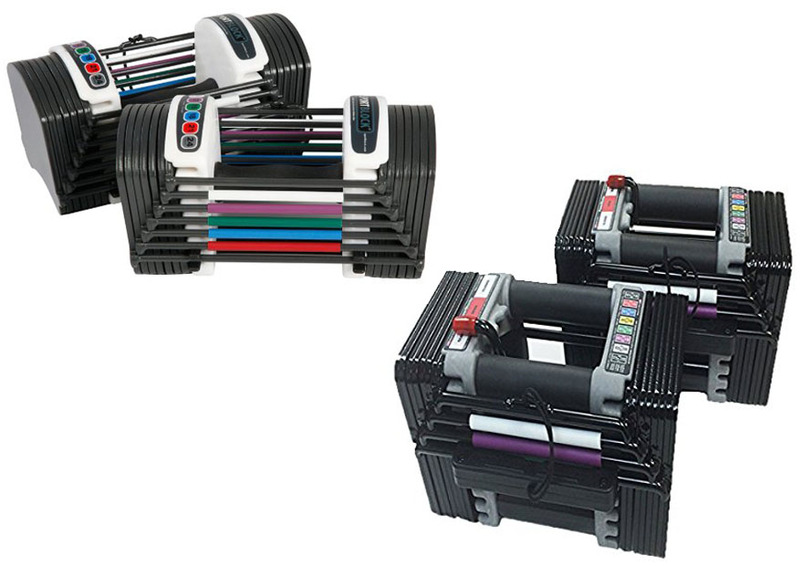 Powerblock’s adjustable dumbbells are especially popular on the market, as they are quite affordable and durable. In this article, we will help you choose the right Powerblock set by presenting you the comparisons between Powerblock Sport vs Elite. First of all, let’s take a look at the Powerblock Sport series. This series actually has three different sets of dumbbells. – The Sport 24 Set comes with a weight range of 3 – 24 lbs per hand with 3-lbs increments. This set is not expandable, which means 24 lbs is the maximum weight that you can get per hand. So, this set is more suitable for casual users and women who don’t need to train really hard. – The Sport 50 Set comes with a weight range of 10 – 50 lbs per hand with 5-lbs increments. This set is also not expandable. This set is suitable for casual users and men. – The Sport EXP Set has a weight range of 5 – 50 lbs per hand. As you may have expected, this set is expandable. It is expandable to 70 lbs and 90 lbs. It has 5-lbs increments, and there are 2.5-lbs adder weights adjust the dumbbells more accurately. This set is suitable for dedicated users who want to train hard and develop bigger muscles. The Powerblock Sport series is newer than the Elite. It comes with a new design, in which the weights are rectangular with only the top sides being rounded. Apparently, it also has a better build quality, as it comes with a longer warranty for 15 years. The main advantage of Powerblock Sport vs Elite is that Powerblock Sport has a better build quality. This is showcased by the longer warranty, which is 15 years. If you want your dumbbells to be rugged and durable enough to withstand use and abuse for more than ten years, this is a good choice. The Powerblock Sport dumbbell seems to have more room for the user’s wrist. Perhaps another advantage is that Powerblock Sport is a newer product. So, it is more readily available and generally more supported by the company. 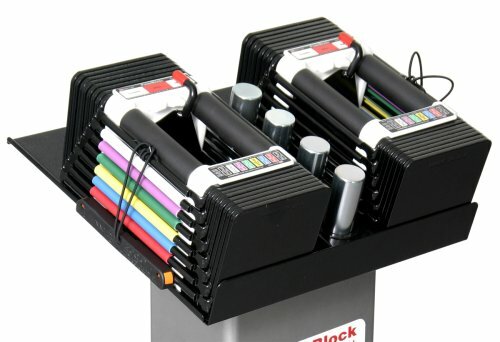 There are several weaknesses of Powerblock Sport vs Elite that you should consider. First of all, the Sport sets are more expensive. While the price difference is not really huge, this is still a factor to consider. Second, the new asymmetrical design may make the weights slightly unbalanced. It is generally not a big issue, but it may make the usage somewhat inconvenient. Third, the rounded design has also reduced the actual weight of each piece, making a 10-lbs weight more like 9.5-lbs. In other words, the weight scales are not very accurate. If you want to get an accurate weight rating, you should do some extra work by adding or removing the adder weights. On the other hand, Powerblock Elite is an older model. It is only available in a single expandable version, with a weight range of 5 – 50 lbs. It can be upgraded to 70 lbs and 90 lbs. This set also has 5-lbs weight increments and 2.5-bs adder weights. So, in terms of weight range, Powerblock Elite is indeed similar to the newer Powerblock Sport EXP set. It is suitable for dedicated people who want to train harder using heavier dumbbells. However, Powerblock Elite has an old design with fully rectangular weights. Although the rectangular pieces are not particularly good-looking, they are more balanced. This model is backed by a warranty for 10 years. 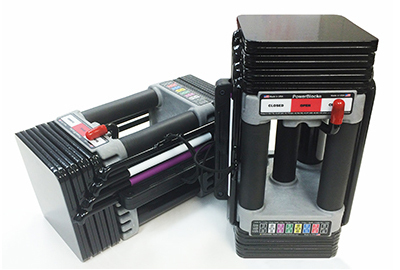 When choosing between Powerblock Sport vs Elite, you may be more interested in the older Powerblock Elite set because of the more compact size. Yes, the dumbbells are slightly smaller than the new ones of the Sport series, making them more portable and space-friendly. In addition, the symmetrical rectangular shape also makes these dumbbells easier to store. Powerblock Elite’s symmetrical rectangular shape is generally more stable. The center of gravity is properly centered, so it is more convenient to handle. In addition, the handle is a little bit smaller. People with small hands will feel more comfortable using the Powerblock Elite set. Powerblock Elite has more accurate weight scales. You don’t really the adder weights to adjust the dumbbells. This is a nice thing, as you will be able to focus more on your workout performance rather than spending time and effort just to adjust your equipment. Last but not least, the advantage of Powerblock Elite is that it is cheaper. It is sold at a lower price point than the Sport EXP set. So, if you are concerned about the price and you prefer to save some bucks whenever possible, Powerblock Elite is more recommended. The disadvantage of Powerblock Elite is the shorter warranty, which is only 10 years. Some people may argue that the shorter warranty indicates that it has a lower build quality. However, the dumbbells are quite solid and durable nonetheless. Just make sure that you won’t throw it around if you want it to last. Powerblock Sport 24 and 50 are great for casual users who just want to improve their fitness and keep in shape. If you need an expandable set, Powerblock Sport EXP is great. This set comes with a longer warranty, so the build quality is probably better. However, if you want to save some bucks, you should choose Powerblock Elite. It is available at a lower price point, and it is arguably better than the Sport EXP set due to being more compact, stable, and accurate. It has a shorter warranty, but the 10-year period is probably already sufficient.